Select Backup Site server and provide a location for the backup and a schedule. Done. Not really! 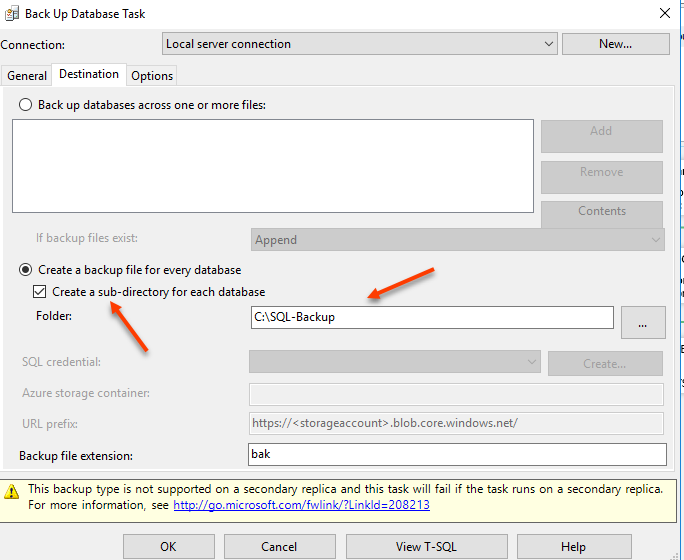 Though this is the easiest way to backup ConfigMgr, it isn’t very efficient. The Backup Maintenance Task also backs up specific registry keys (which will be ignored during a restore), specific folders (which will also be ignored during a restore), and the CD.Latest folder. This backup plan does not optimize the database. 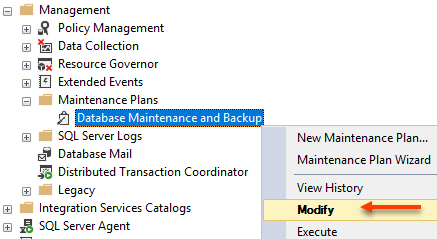 There is a ConfigMgr maintenance task called Rebuild Indexes that is meant to optimize the database, but doesn’t work that well and isn’t customizable. Plus, we can’t run any other SQL maintenance tasks. I would say that this solution isn’t really for the cool kids. Before we start creating our maintenance plan there are several things that need to be done first. Key word – SEVERAL! No need to rewrite his article, but I will add a bit more information. Why does he create the CMMonitor database? 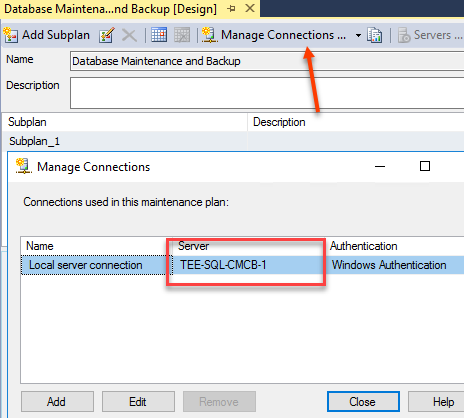 When you run the Maintenance Solution script a table will be created that logs the results of the various SQL Server Agent Jobs. Creating this database isn’t a requirement, but is a very good recommendation. Ola’s scripts want to write to some table. If you don’t create the CMMonitor database the scripts will write to a table in the Master database. That is poor practice in my opinion. We shouldn’t be writing to the system databases. I’m going to call my database SQLMaint since this solution is for the entire SQL server and not just ConfigMgr. 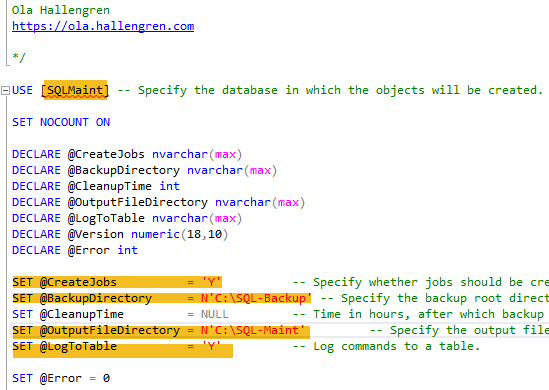 Ola’s scripts are here: https://ola.hallengren.com/sql-server-index-and-statistics-maintenance.html Keep in mind that they are updated every now and then. In Steve’s post he downloads the entire maintenance solution. You can also download the individual scripts as well. The @CreateJobs variable tells the script to create all the SQL Server Agent Jobs or skip them. The @LogToTabel variable specifies whether the script will write the results of the jobs to the table in the database you specified. If you run the entire Maintenance Solution script with @CreateJobs = ‘Y’ you will get a TON of SQL Server Agent jobs that you probably will never use. Here are the SQL Server Agent Jobs that are created. I would suggest that the highlighted jobs are the only ones you need. I would rename the above highlighted jobs to “Maintenance Plan – [job name]”. Naming conventions are important. Also, in Steve’s post he mentions how to create the IndexOptimize job. You will want to look at the dbo.CommandLog table that gets created in the SQLMaint (or CMMonitor) database to fine tune the job. Your results may be different. Monitoring SQL Server performance and fine tuning the IndexOptimize job is beyond the scope of this article. 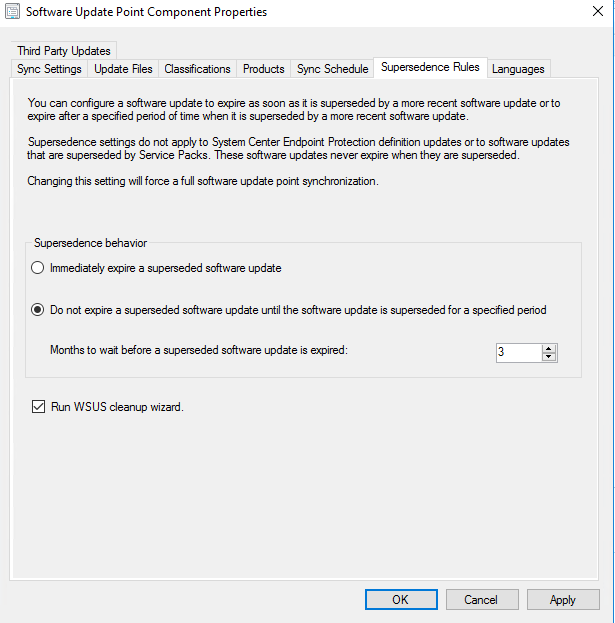 If you have your ConfigMgr environment using SQL Server Always On, there are a few different steps that must be taken. The above will work for all of the other databases. With Always On the database is in FULL recovery mode. That means that you will need to take log file backups quite frequently or risk the log file getting out of control in size. I set my Availability Group to back up from the Primary. You can choose whatever works best for you. We are making an all in one maintenance and backup solution for ConfigMgr. 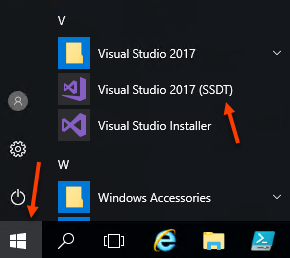 Better cleanup the WSUS database as well! 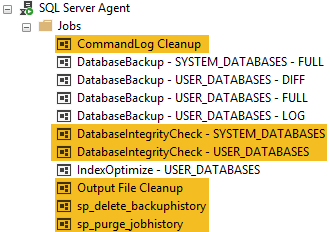 Create a new SQL Server Agent Job called “WSUS – DB Cleanup”. Make sure SA is the owner. 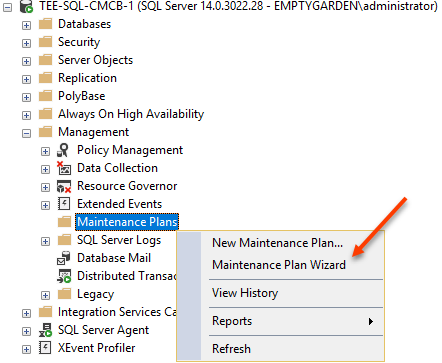 One way to create an all in one SQL maintenance solution is to use the Maintenance Plan wizard. 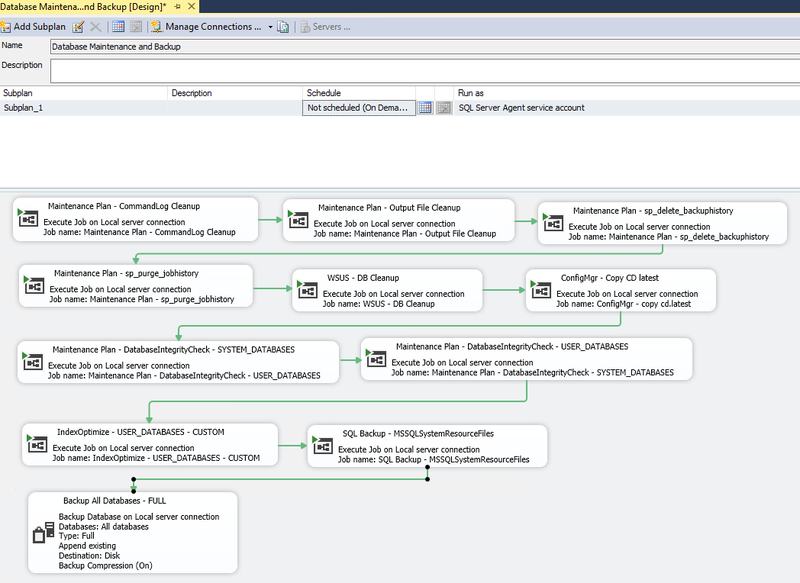 The other is using SSDT and creating an SSIS job. That is covered in the next topic. Give the Maintenance Plan a name and select next. 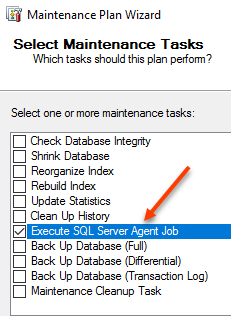 Select Execute SQL Server Agent Job and Maintenance Cleanup Task. Select next twice. Let’s start with the ‘Maintenance Plan -CommandLog Cleanup’ job. This is part of Ola’s script. See the link above if you need more information on the job Ola’s script creates. Select where you want the Maintenance Plan Report to go or be sent to. We are not even close to being done. Just so you know! Now the Maintenance Plan needs to be modified to include the rest of tasks you want to run. 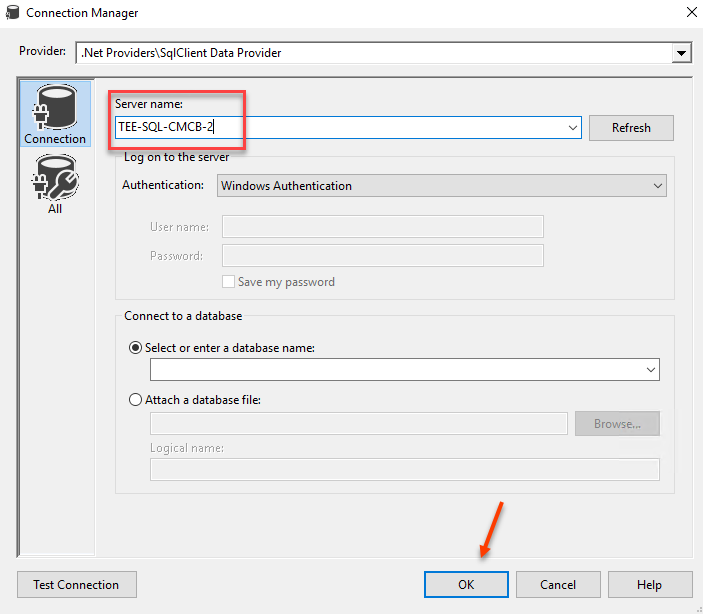 Double click the Execute SQL Server Agent Job Task. The task will appear into the Maintenance Plan designer. Do that for each of the following in this order. 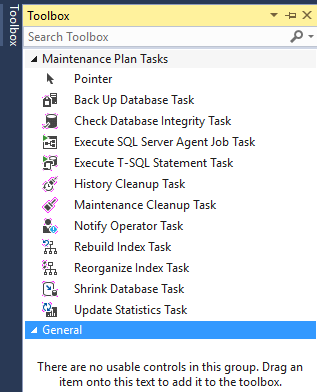 Each SQL Server Agent Job Task will correspond with the list below. Connect the green link from the previous step to the new step each time you add one. Now it is time to add the backup task. 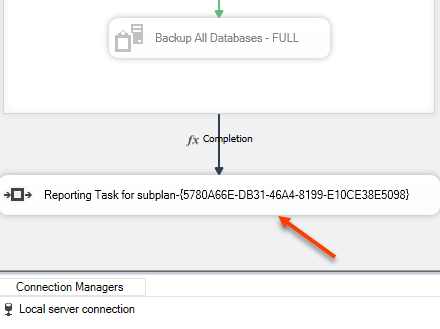 Double click the Back Up Database Task. In the design window double click the Back Up Database Task to set the options. 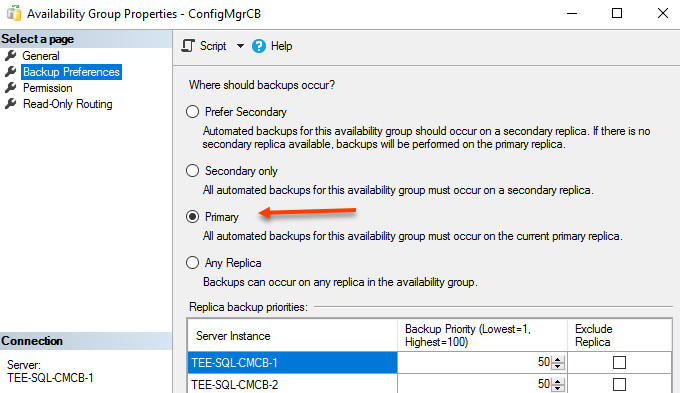 As referenced before, if you have an Always On Availability Group, it needs to be set to prefer the Primary Only for backups. This particular task does not support secondary’s as you can see below. 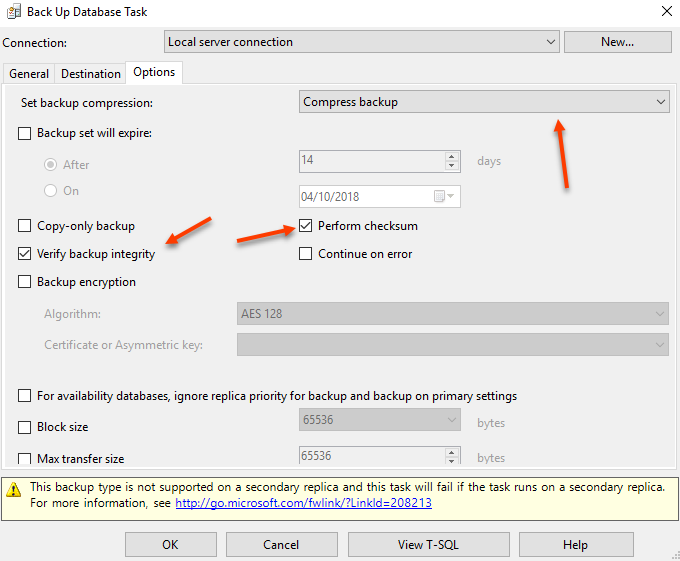 If you want or need to backup the secondary replica, you will need to create a SQL Server Agent job to do it. Select the Destination tab and configure to your needs. Select the options tab and configure to your needs. I would recommend using compression, verifying the backup, and checksum. The next step is to schedule the plan. You will notice in the Subplan_1 section above that there is a schedule. NOTE: If you are running ConfigMgr with SQL Always On Availability Group you will want to back up the log quite frequently. 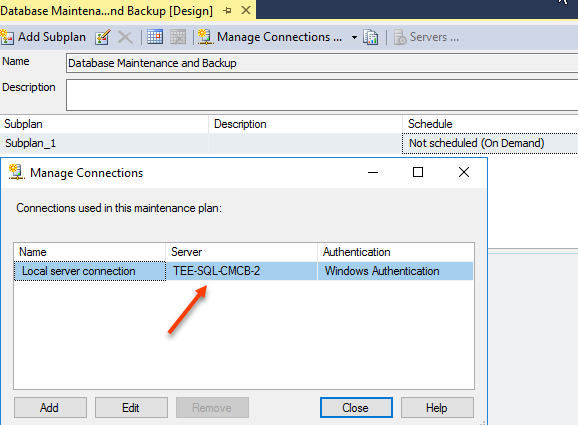 You can schedule the SQL Server Agent job that backs up the log file separately from the Maintenance Plan. 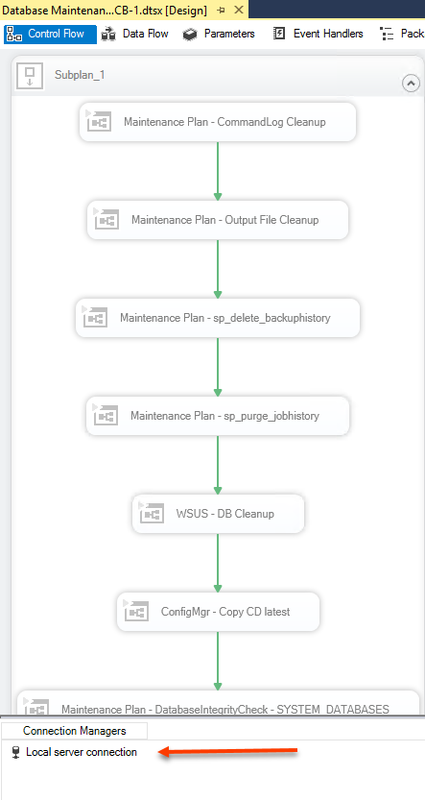 When exporting a Maintenance Plan the connection manager (data source) gets exported with it. Notice that the Local server connection is set to the same server you created the Maintenance Plan on. You can’t change this setting. Go ahead and click edit and try it out since I know you want to! When exporting the plan the connection will be exported with it. 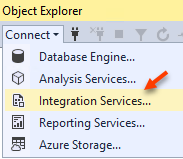 Which, will present problems when importing the plan into a different SQL Server. There is no need to save any sensitive data. I totally didn’t spend hours trying to find resources on the internet regarding changing the connection manager (data source) of a Maintenance Plan. Apparently I am the only person on Earth who would do such a thing! Thus, I had to figure it out myself. You are welcome. Navigate to the DTSX file you saved earlier. Select File > Save as and provide a new name for the DTSX file. 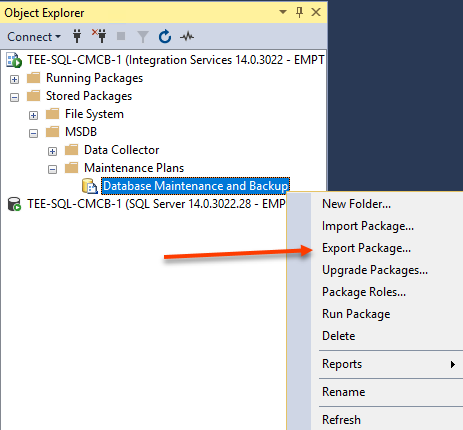 You will need to open and close the newly imported Maintenance Plan in order for it to register with SQL Server. Once you close the open plan you will be prompted to save it. 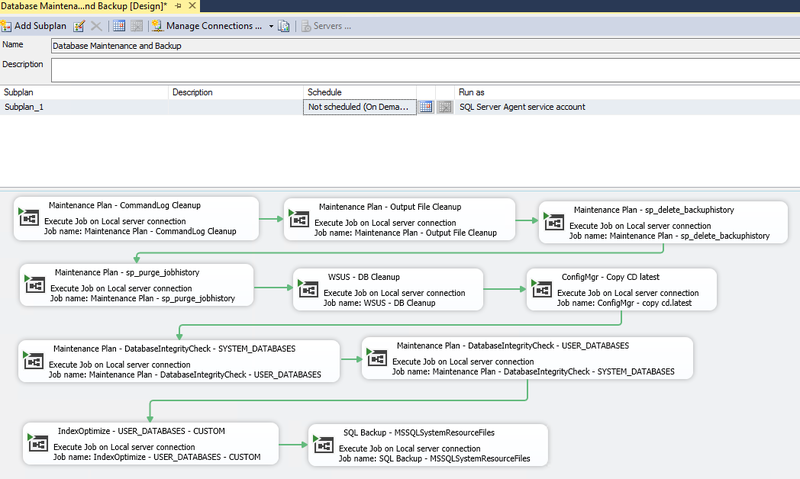 Once the plan is saved you will see that a new SQL Server Agent Job has been created. The plan will NOT run until you open / close / save it. You will want to set up a new schedule for the Maintenance Plan. 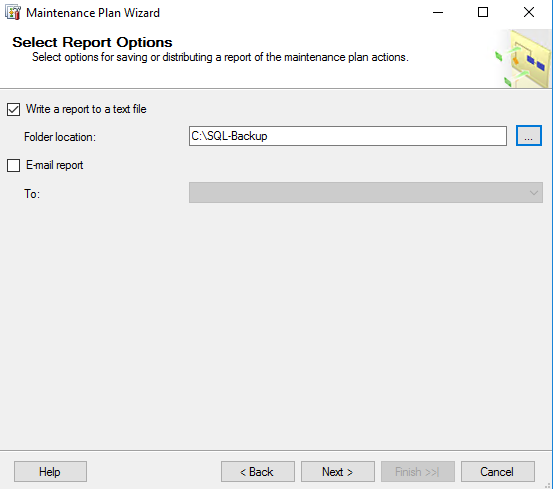 Keep in mind that nothing will run unless you also export and import the SQL Server Agent Jobs the Maintenance Plan references. Next PostNext What’s in your lab environment?